NAMM 2019, January 24, 2019 — Zivix, makers of the Jamstik® smart guitars, will be showcasing the latest version of the product line, the Jamstik 7 at booth #9907 in Hall B. After raising over $640,000 for the third and fourth generation models last May, Zivix has delivered on the Jamstik 7 guitar learning product with a revamped and updated web-based software offering. Now, users can learn guitar via the Jamstik Play Portal and play with a growing number of interactive experiences and third-party web software. Of note is Soundtrap, an online DAW for music collaboration. Soundtrap will have a representative at the Zivix booth during the afternoons at the NAMM Show and Zivix will be demoing the Jamstik experience with Soundtrap throughout the weekend. At a retail price of $229.99, the newest 7-fret Jamstik boasts brand new patented technology, including Zivix's FretTouch™ finger sensing fretboard and Infrasense™ optical pickup— providing real-time feedback so players can see their fingers on the screen of their device. Zivix will be participating in the Music Educator Showcases on Saturday, January 26 at the NAMM Member Center, Anaheim Convention Center, Lobby B. 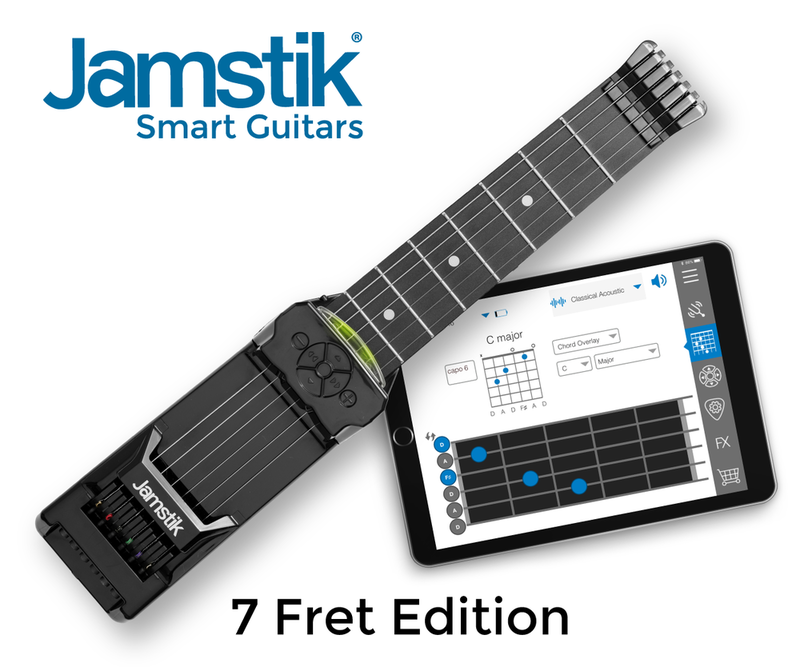 Stop by to see how the Jamstik Smart Guitars work in a connected classroom environment. Visit jamstik.com/education for more information. The Jamstik 7 is now available on Jamstik.com, Amazon.com, B8ta retail stores, and a growing list of international distributors and resellers worldwide. Photo assets, product fact sheets, and additional company information can be found on the Press Resources page.